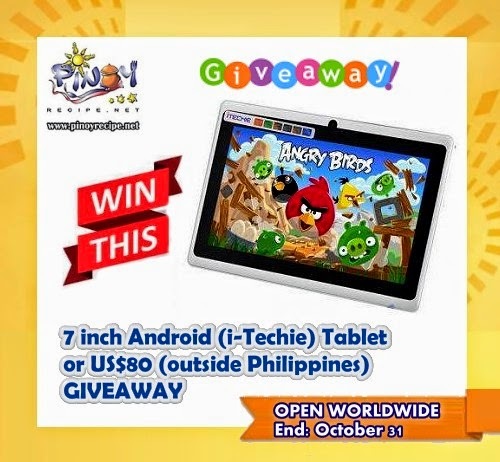 Here’s another giveaway hosted by Filipino Recipes Portal (PinoyRecipe.net). This is our way of saying thank you to all who support and reads our Food Blog regularly, comments on our posts and follows us on social media. Disclosure: I received no compensation for this Giveaway Event. Filipino Recipes Portal is responsible for shipment of the prize . This event was organized and hosted by Filipino Recipes Portal please contact PinoyRecipe.net with questions or if you want to be featured on our the next Giveaway event! wow!great giveaway!! i am newbies in this joining i am hoping to win to your giveaway.. thanks and more power to your blog..
Great giveaway and awesome recipes. Thank you so much. What a great giveaway! Got my fingers crossed on this one. Thanks for the amazing giveaway and the delicious recipes! I hope I win for my little girl who has been wanting to have a tablet! Thanks pinoyrecipe….ka-miss any pinoy foods. Sarap kumain!!! 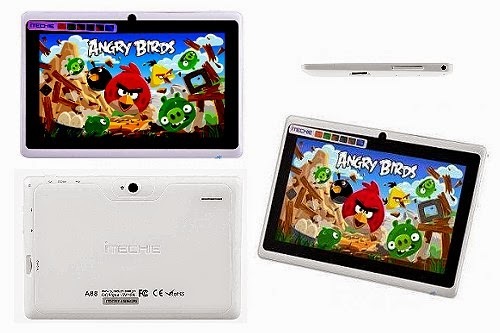 May bonus pa…i-techie table pa.
amazing giveaway,. hope to win,. Great giveaway! hoping to win.. great site as well! hoping to win,. i really need a new tab for my son. Perfect Christmas gift and I found a ew new recipes to try. Thank you for this giveaway.Hope to win for my kids..God Bless! Tablet usage is obviously increasing in the Philippines. I hope to win this time!! More power!! wow ang ganda’ma’agang pmasko’ iwant to win this for my daugther. Wow another giveaway! I hope to win as an early Christmas gift! thank you for this awesome giveaway. I want to win this giveaway for my daughter. very interesting recipes ..adults and kids love it.. This is a great giveaway. The prize can be enjoyed by the winner or can be gifted for someone special in the upcoming holiday season.